We offer over 500 products for the Fireplace and Hearth industry and continue to add more products to broaden our line of products. Answer: Yes. 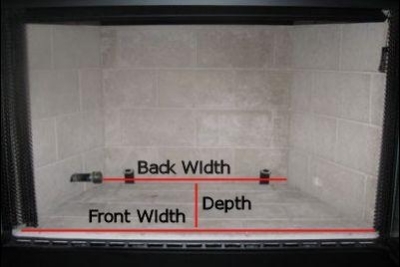 However, when one uses propane in one’s fireplace it is very important to be sure the bottom of the fireplace is sealed completely as propane gas has a tendency to sink whereas natural gas tends to rise. A safety alternative would be to use a’ pan’ in the bottom of your fireplace with your burner pipe to deflect the propane gas upward. Never use Propane unless there is a thermocouple installed as this is a safety device not to be ignored! And the length from Front to Back. Simply input those measurements into the calculator below.